Food in the library? 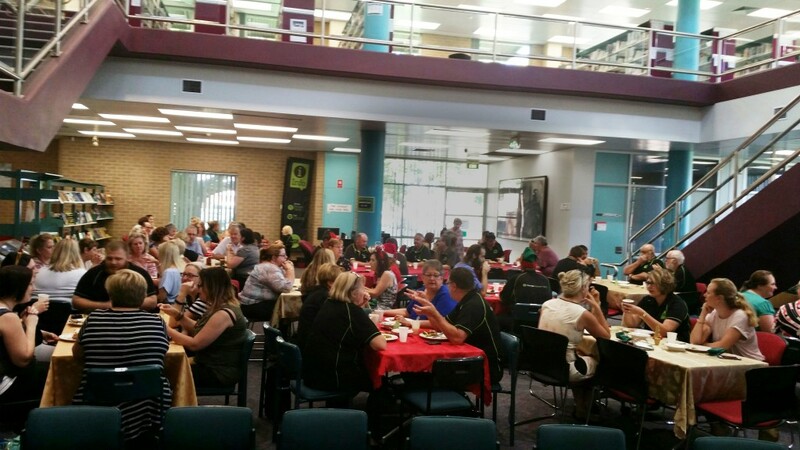 Yes – when it’s the Carols Christmas Breakfast, held annually on Newcastle Campus for all staff. Over one hundred staff attended the 2016 breakfast on Thursday 8th December, and enjoyed the croissants, fruit, pastries and coffee prepared and served by library staff. Unfortunately many staff had to head straight to work after the breakfast, but a few were able to stay and sing along to traditional Christmas Carols. Season’s Greetings 1971 Christmas card of the C.J. 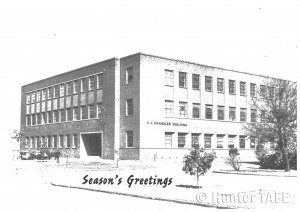 Chandler Building or F block as it is now known at Newcastle Campus. Each card was printed inside with news of the new General Nurse Education course to be run the following year from this building. 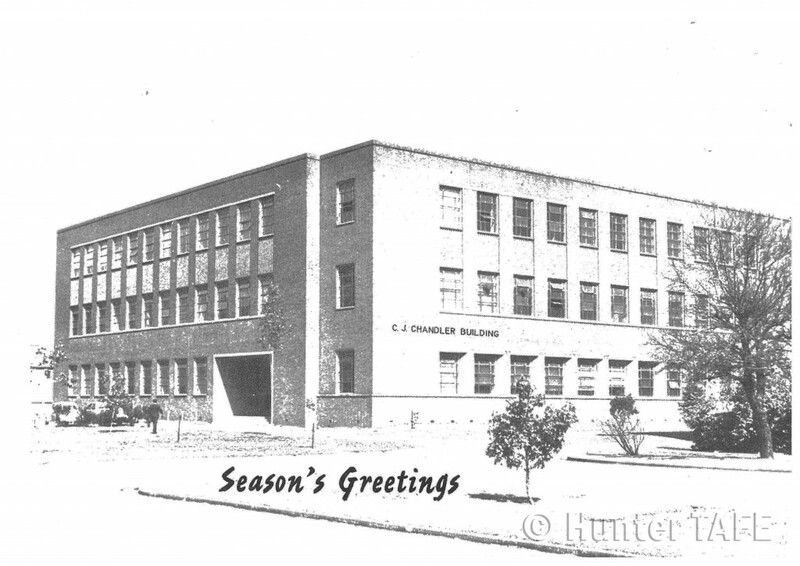 The building was named in honour of Clifton James Chandler, citizen of Newcastle and dedicated to the service of Technical Education. Christmas Greetings and best wishes for the New Year 1971 and also from the Library staff – 2016.